A Burg is built to defend, typically a fortress situated on a high point above a river or valley. Burgs constructed in the early Middle Ages were stone strongholds, protected by soldiers, and attacked over and over in the many wars of Europe. The Rhine Valley is chock-a-block with these fortresses on practically every hillside, or even in the river itself to collect tolls. 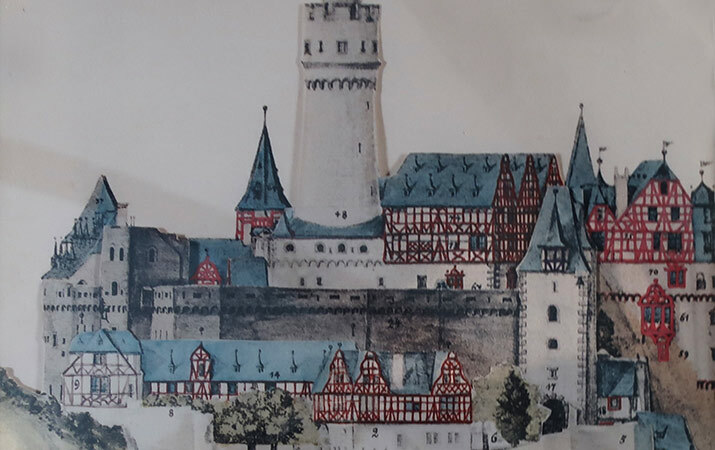 Some medieval Burgs later expanded to become a comfy residence for noble families, but still were maintained as a fortress, such as Burg Rheinfels or Burg Eltz. After the Middle Ages, weaponry improved, and some previously never-conquered Burgs were blown up. Now they are wonderful ruins for kids to explore. A Schloss is a residence, often a summer palace for relaxation. 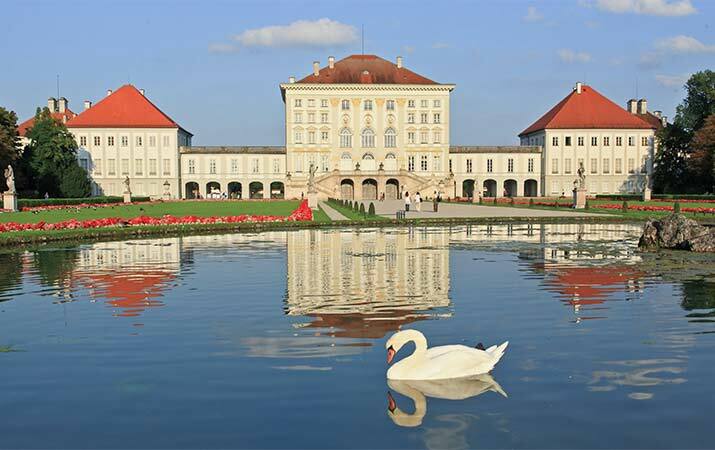 The Schloss could be a luxurious country villa for hunting, or a Versailles-style pleasure palace, surrounded by landscaped gardens, lakes, cascades and fountains. 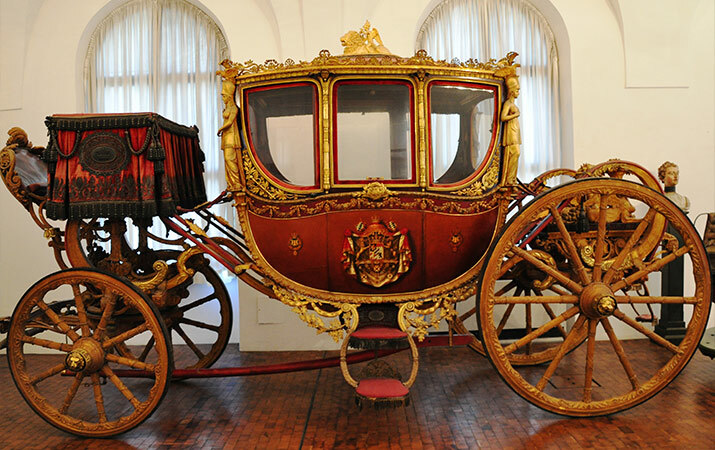 At a Schloss, kids will see forests for princes and courtiers to hunt, spacious rooms to entertain guests, pavilions for opulent banquets where ladies would wear gowns and jewels, gilded halls for wedding festivities, grounds to present pageants and fireworks. Here’s some of our favorite Burg and Schloss. 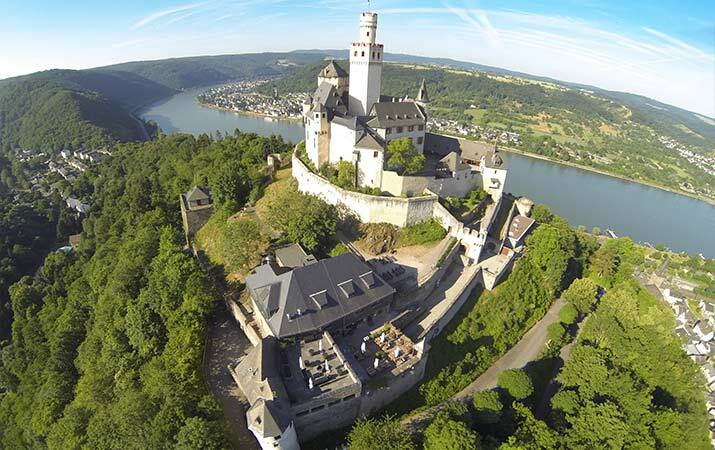 Marksburg is one of the best preserved castles in the Rhine Valley. Constructed in 1100, it was never directly attacked. 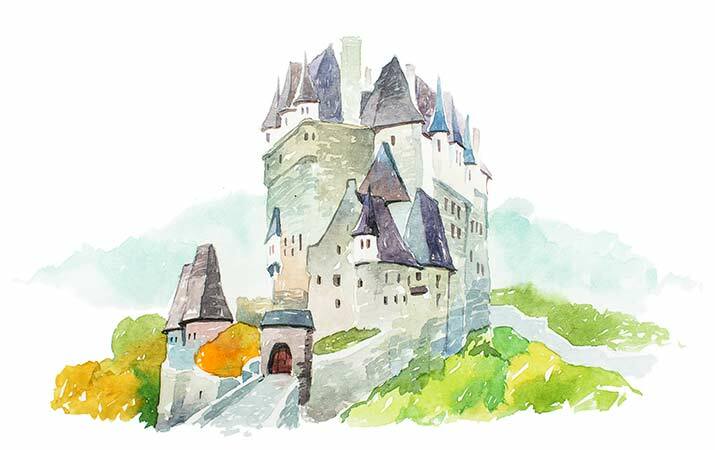 Visiting the castle, kids will get an idea of what life was like living in a fortified stronghold in the Middle Ages. 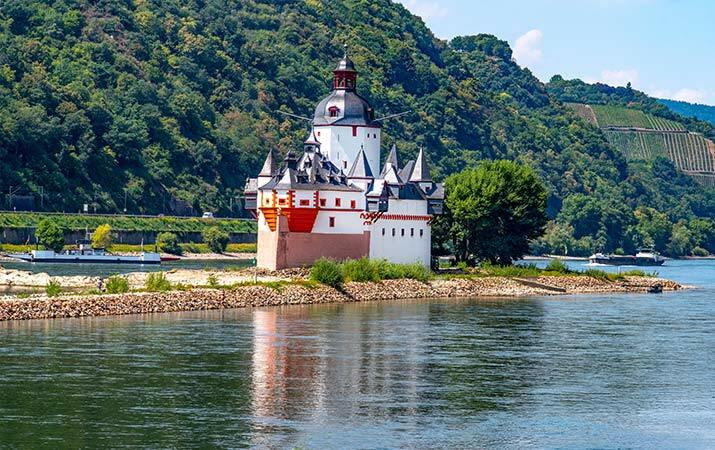 Burg Pfalzgrafenstein is an island castle, a five-sided tower fortress in the middle of the Rhine River. Built in the 14th century, it was used as a toll-station, boats had to pay to pass. Pfalzgrafenstein is one of the highlights of a boat cruise between Mainz and Koblenz. In the Middle Ages, Burg Rheinfels was an invincible stone fortress, high above the town of St. Goar. The castle was besieged for two years, but not defeated. 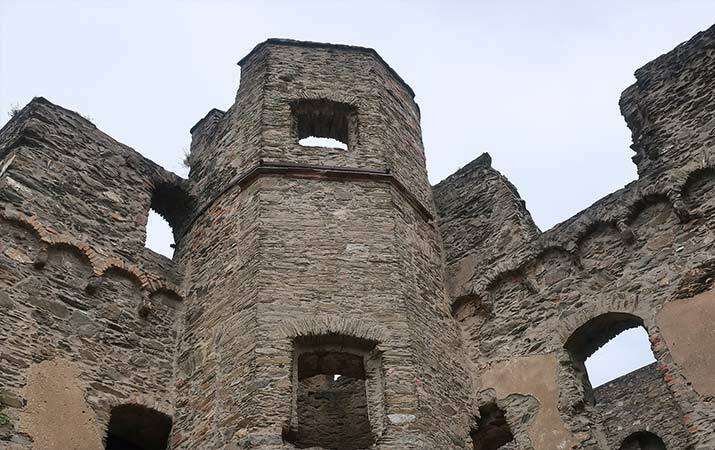 Burg Rheinfels was attacked multiple times, and finally in the late 18th century, the French army blew up the castle. 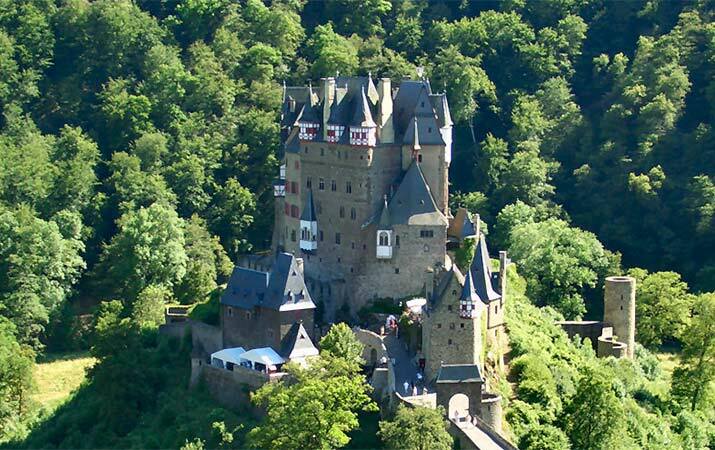 Burg Eltz is an ancient castle, continuously owned by the Eltz family for generations. The castle escaped destruction in the 17th century, because a family member was an officer in the French army. 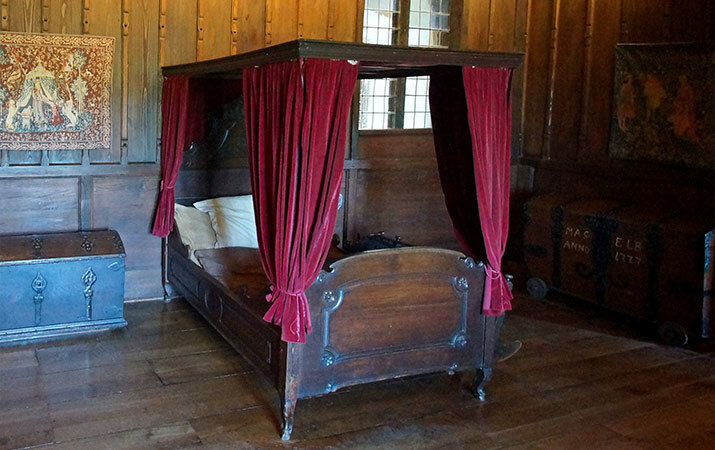 Inside the castle kids will see the medieval kitchen, bed chamber, beautifully decorated family rooms, armory with medieval weaponry, and treasury of golden goodies. 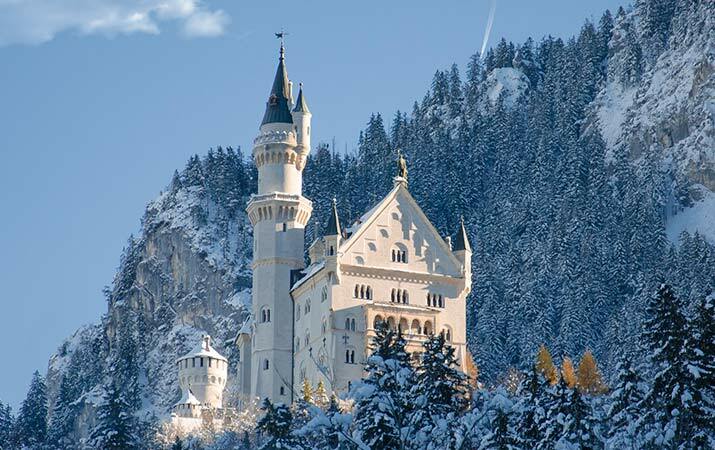 Not an age-old castle, Schloss Neuschwanstein was built by the Bavarian King Ludwig II in the 19th century. If the castle looks familiar to kids, it’s because it was copied by Disney for Sleeping Beauty Castle. The gleaming white castle overlooks the valley below, interior has medieval-themed murals of knights and ladies, golden tapestries on the walls, and elaborate mosaic floors. Tip: This is one castle that’s fun to visit in winter. Schloss Nymphenburg was a pleasure palace for the kings and princes of Bavaria. Nymphenburg is a 17th century Baroque palace, with halls and apartments in gold and white. In the huge parkland (which kids have fun running around), the Bavarian rulers boated on canals in gondolas, played games outdoor and hunted stags. A visit to Schloss Nymphenburg is a fun Munich day trip. 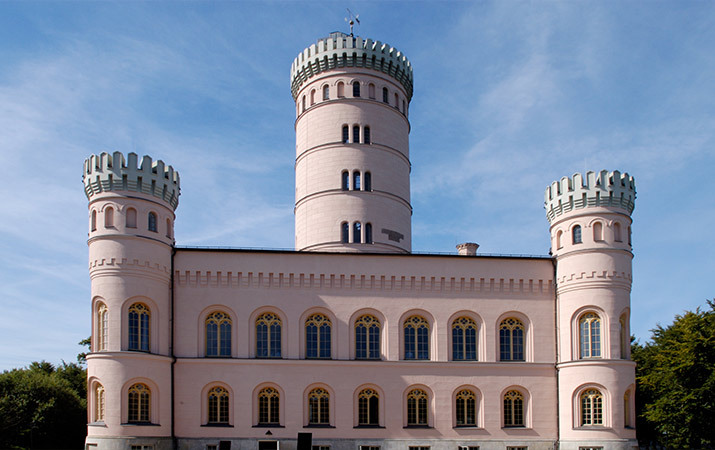 The Jadgschloss on the island of Rugen was a 19th century castle for hunting in a luxurious setting. Rosy pink towers rise above the two story mansion, two bronze hunting dogs guard the entrance, inside are collections of elk and deer antlers, wild boar tusks, even tables and chairs made out of antlers. 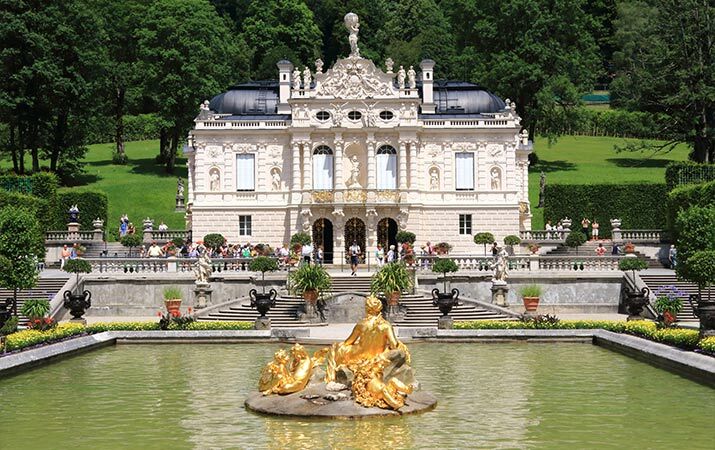 Schloss Linderhof is another 19th century castle created by King Ludwig II. Originally a royal hunting lodge, it was transformed into a royal villa, and a large park was extensively landscaped. 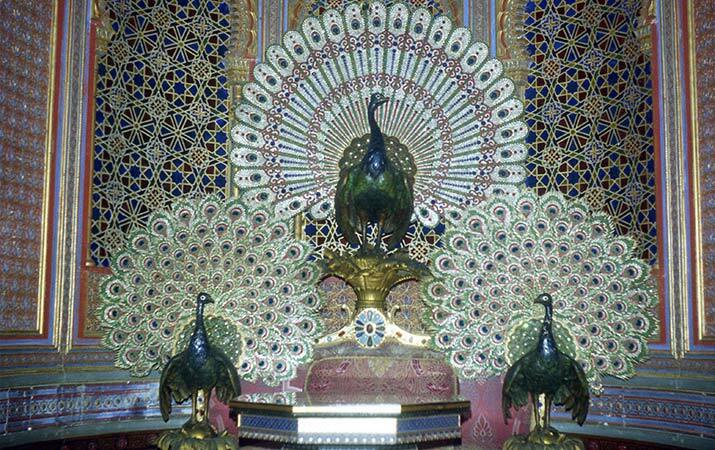 Long cascades lead into fountains with gilded statues, the Venus Grotto is an artificial water cave with stage set lighting and decorations, step into the gold-domed Moorish kiosk to see a Peacock Throne.